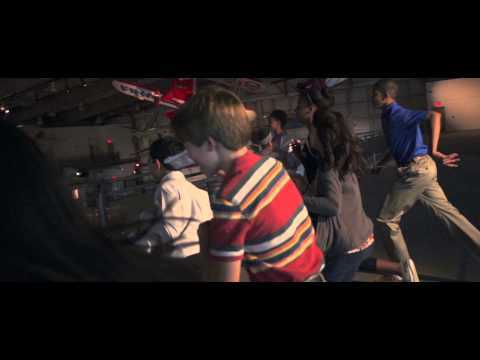 Frontier of Flight Museum educates, motivates and inspires all ages in North Texas by presenting aviation and space flight history and innovation through our comprehensive exhibits, collections, programming and STEM (Science, Technology, Engineering, Math) curriculum. The Museum's collection includes more than 30 aircraft and space vehicles with 35,000 supporting artifacts including flight gear, aircraft equipment and components, photographs, documents, and other flight-related memorabilia. Nearly 130,000 people walk through the Museum's doors every year! Visitors experience aviation and space flight history through viewing early biplanes, historically important military and general aviation aircraft, the World War II Gallery, the unique history of Southwest Airlines, commercial airline artifacts, and one-of-a-kind treasures such as the actual radio operator's chair from the doomed Hindenburg airship, the Vought V-173 "Flying Pancake," and the Apollo 7 command module. The Museum's partnership with local, regional, and national organizations including the Smithsonian Institution and the University of Texas at Dallas provides access to additional world-class artifacts and major traveling exhibits. Special programs and events are offered monthly such as the Wings of Freedom Tour with WWII planes; Moon Day which is an annual STEM-focused, space-themed public event; during Engineers Week and Spring Break; and on holidays and historically important days including D-Day anniversary, Patriot's Day, and Veteran's Day. Your help has been invaluable to Science Education at E.D. Walker Middle School this year. Many students, teachers and parents enjoyed the activities at the STEM night and the SPOC again at school. The excitement of students who dwell in a light-polluted environment at seeing the stars in the night sky is priceless and makes learning about them much more interesting. They have also become more engaged in learning as the hands-on activities can be used in the classroom. They especially enjoyed the demonstration of the composition of the outer planets using a carbon dioxide bubble generator. Again, thank you for sharing your knowledge and other resources with us.